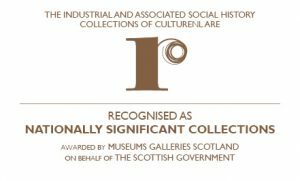 North Lanarkshire’s museum collections are designated by the Scottish Government as a ‘Recognised Collection of National Significance’ due to their importance. Our collections date from the Roman times to the present day, including one of the finest industrial history collections in Scotland. 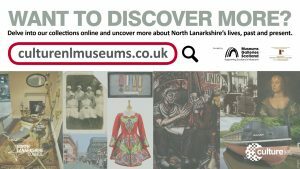 Explore our unique collections and learn about North Lanarkshire’s lives, past and present. From the last steel section manufactured at Ravenscraig Steelworks to the fabulous costume of showbiz legends Fran and Anna. Search our stories and collections by theme, peruse maps connecting objects with North Lanarkshire locations and beyond, listen to people’s memories of the world of work and much more.